Caffè e Giornale. | In Florence. A Firenze. Every Thursday morning, I roll myself out of bed a little earlier, to get to school for 9am. The main reason for all this extra motivation is coffee. Italy really knows how to make a beautiful cup of this magical drink. 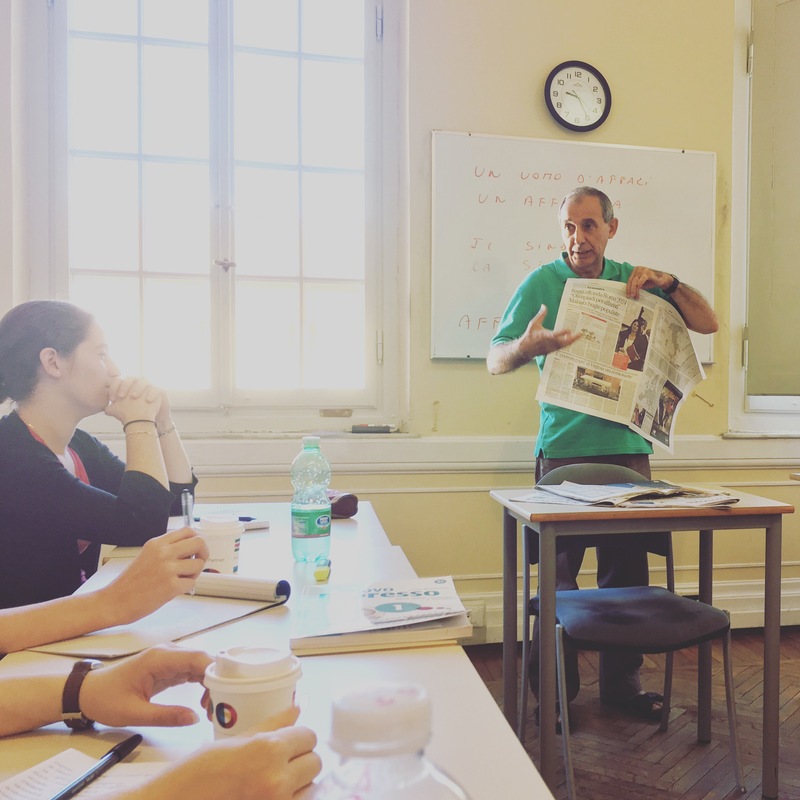 The British Institute holds an extra class called ‘Caffè e Giornale,’ or ‘Coffee and Newspapers,’ every Thursday before Italian lessons start. I wasn’t really sure what to expect when I turned up the first time, but if you’re one of their students , all I can say is go try it! It’s basically one hour of pure Italian, talking about topical subjects taken from that week’s newspapers. The fact the subjects are so relevant, means you can easily piece together what the teacher is talking about, even if – like me – you only manage to speak in words rather than sentences. Massimo, who is actually my Italian teacher, takes the class. He is probably the calmest and most patient human on earth; literally nothing phases him. If every single person in class asked the same question consecutively, he would still answer everyone individually. So don’t be afraid. It is the perfect way to increase your vocab and keep up to date with world events. Plus there is really good coffee involved: practically a no brainer.